The Canadian Christmas at the Juno Beach Center was packed with entertainment this year. Leading up to Christmas, every weekend in December there were activities for visitors at the Juno Beach Centre’s boutique or multipurpose room. On December 2nd, Sandrine Maheut created and presented her hand-crafted jewellery in the museum’s boutique. On December 3rd, Emilie and Rei sang with visitors while children decorated the museum’s Christmas tree. On December 9th, 10th and 16th, Louise Cossette revealed her secrets about maple syrup. On December 17th, the adventures of “Spooky” and “Zip” were read by its author, Diane Condon Boutier. 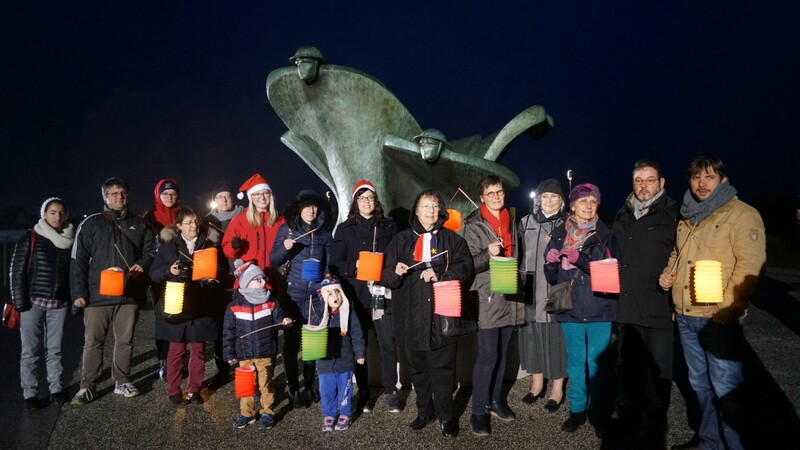 Finally, we held a lantern walk and sang Silent Night on Juno Beach as an end-of-year tribute to soldiers, past and present, who find themselves far from home during the holidays. Thank you all for participating in our Canadian Christmas! We welcome you and your loved ones to the Juno Beach Center until December 31 (except December 24 and 25).